How much do you want to make? 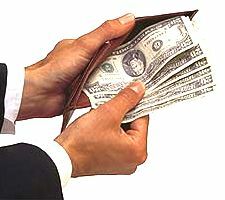 You can earn up to $1,000.00 per referral and there’s no limit on how much money you can make ! Yes. We look forward to giving you $500.00 to $1,000.00 for each house you refer to us that we buy. One house, two houses or more. People love our CASH REWARD PROGRAM. It’s that simple! We plan to give even more money away in 2018. Don't Miss Out. call 411 We Buy Homes or contact us online now!